What if they all gave 99c to help Make Poverty History? Q: Where does the money go? Q: How do I know this is genuine? Q: I don't have an iPhone or iPod Touch. What can I do? A: If you use iTunes, you can just buy the App. It's the same process as buying a song. NOTE - You can't use the App for anything, but you're a part of the 1 Million Bands Project. 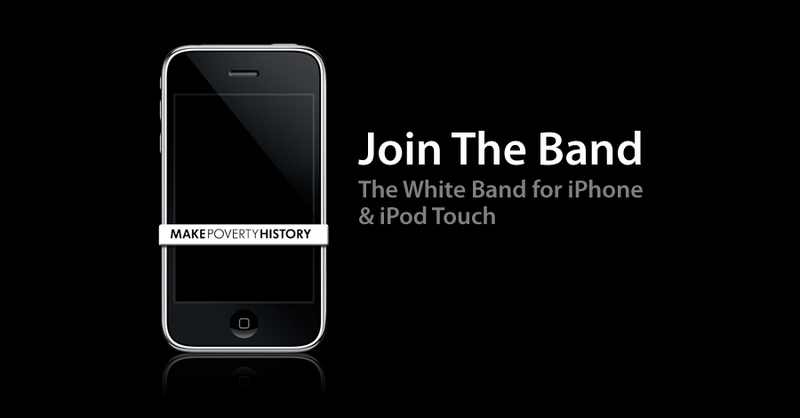 MAKE POVERTY HISTORY The Official App for iPhone & iPod Touch - Out Now! Q: How do I set a Wallpaper on my iPhone or iPod Touch? A: There are a few simple steps. When you've done this once or twice it will become quite easy. Q: Why can't I just press "Set as Wallpaper" from within the App? A: Right now, Apps aren't able to do that. If this ability becomes available in the future, we will look at incorporating it then.